Andrei Gorbunov was kind enough to send in some photos of the superb models his company has built. For more information about completed models, brass superstructures, or hull and plan sets, please visit his website. Details of the Yamato Model. Andrei's firm is noted for it's fine brass superstructure and details, clearly evident in these photos. 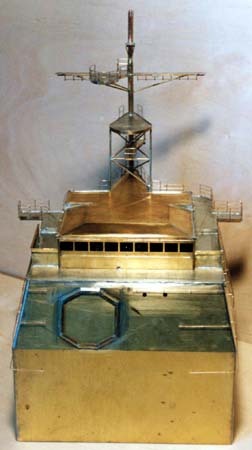 And more details of the HMS Nelson model, again showing the metal working skills of GMS Model Building.